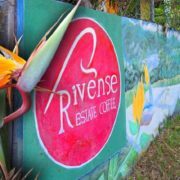 On Saturday, September 9, 2017, Red Cedar Coffee Co. welcomed Esteban and Luis Ureña from Rivense del Chirripó in Costa Rica. 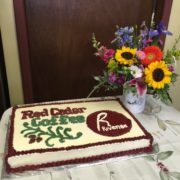 This was part of Red Cedar Coffee Co.’s 12th Anniversary Celebration. The Ureña family owns a micro-mill along with five coffee farms. 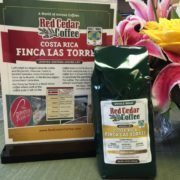 For the last couple years, Red Cedar Coffee Co. has purchased coffee directly from their farm, Finca las Torres. 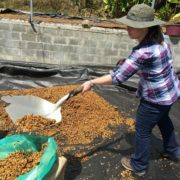 Each February Anne visits this farm and micro mill for harvest and the coffee selection process. 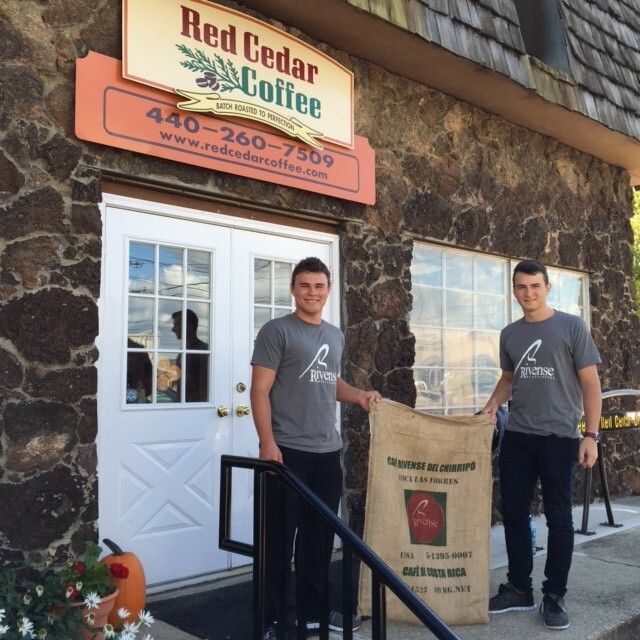 Red Cedar Coffee Co. invited Esteban and Luis to the coffee roastery and launch of their coffee at the Anniversary Party. Not often are coffee producers able to see what happens to their coffee after it has left the farm. It was an exciting visit for Esteban and Luis as it was their first time leaving Costa Rica. To give a sense of coffee in Costa Rica, most coffee is consumed at home or in small cafeterías (coffee shops). By Costa Rican law, 2% of export grade coffee must be held in country for domestic consumption. Most coffee consumed in country is what the coffee industry calls second or third quality coffee, and most of this coffee is roasted dark or with sugar. This means no coffee is wasted from harvest. The Ureña family is innovative compared to many other Costa Rican producers. They own their own micro mill which means they can insure their coffee is of highest quality. 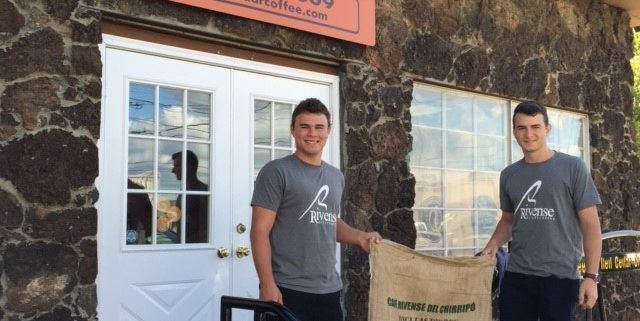 They have a coffee roaster for sampling their harvest. The family drinks the coffee they grow every day. They cup their coffee harvest which is how coffee professionals evaluate the crop, processes and pre-export evaluation. 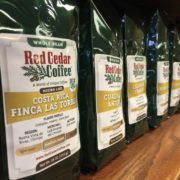 This visit to Red Cedar Coffee Co. was an opportunity for them to see the other end of the supply chain and to interact with our retail and wholesale customers. 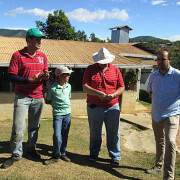 Esteban and Luis learned a lot about the US coffee market during their stay with Red Cedar Coffee Co. Cooking with coffee and crafting coffee infused beverages were new ideas. 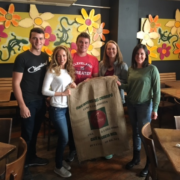 The opportunity to spend time with a wholesale coffee roaster (Red Cedar Coffee Co.) also provided additional insight into the US coffee market. 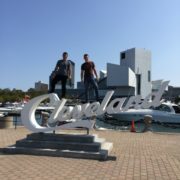 They also had a chance to sightsee Cleveland. We would like to thank everyone who came to our Anniversary event and who made Esteban and Luis feel at home. September 25, 2017 /by Anne D.
Check out our new packaging!